Canada Goose, which on Wednesday filed its long-awaited initial public offering, wants to expand well beyond its expensive and trendy winter jackets. The company also believes the U.S. market is greatly underpenetrated. Brand awareness in the U.S. was 16 percent as of August, compared with 76 percent in Canada, Canada Goose said, citing an internal consumer survey. The bulk of the American growth is also in the Northeast, including a New York retail store that opened in November. “We believe there is a large white-space opportunity in other regions such as the Mid-Atlantic, Midwest and Pacific Northwest,” the company said in its prospectus. The company also notes that it has a loyal following. A survey conducted in 2016 showed that 84 percent of customers expect to buy another Canada Goose product when they make their next major outerwear purchase. Not surprisingly, the company is also looking expand its offerings by creating more items for the spring and autumn. About one-third of its sales come from the U.S. It sells in 35 other countries and has gained a strong following in the U.K., France, Japan and Korea. It’s planning further expansion in markets including Germany, Italy and Scandinavia. According to regulatory filings, Canada Goose posted revenue of $291 million in its fiscal year ended March 31, 2016, up from $152 million in 2014. Gross profit reached $146 million and net income, $26.5 million in 2016. Revenues grew at an annualized rate of 38.3 percent from 2014 to 2016, the company said. In the nine months ended December 31, revenues jumped 41.7 percent to $352.7 million from $248.9 million in the same period a year ago. Net income grew 26.3 percent to $45.1 million, up from $35.7 million. The company filed with a $100 million placeholder amount used to calculate fees, but could seek to raise as much as $300 million in the sale, sources have told Bloomberg. The Toronto company did not disclose an intended offering price or the number of shares being sold. The company is reportedly seeking a valuation of about $2 billion. The IPO proceeds will be used to repay debt and for working capital and general corporate purposes. The family-run firm, which got its start in Toronto in 1957, is currently led by the founder’s grandson, Dani Reiss, who owns 30 percent of the company’s stock. A staple item on Arctic adventures and film sets, the brand has become a fashion must-have and has been seen in recent years on actors like Emma Stone, Bradley Cooper and Daniel Craig. The company notes in its prospectus that its jackets and other clothing were worn by the first Canadian to climb Mount Everest, the man who had the fastest solo South Pole expedition, an Iditarod champion and Arctic pilots. The remaining 70 percent stake in the company is owned by private equity firm Bain Capital, which invested in the company in 2013. Bain, which also charges the company a management fee for its consulting expertise, will continue to own a controlling interest in the company following the IPO, according to the prospectus. 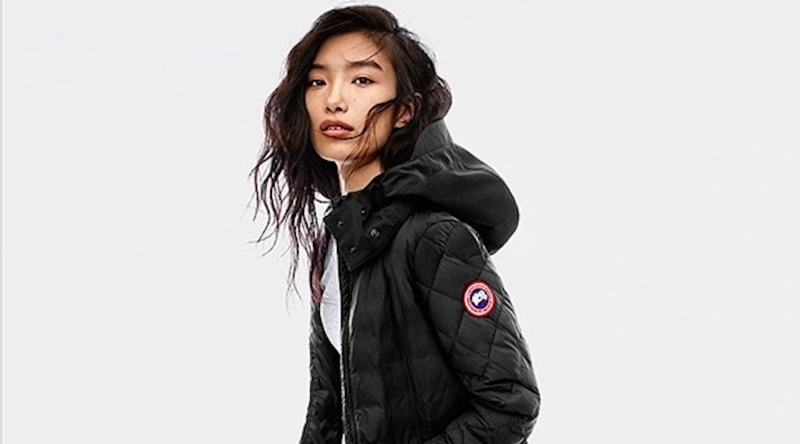 Canada Goose Holdings Inc. filed its offering in both the Toronto and New York stock exchanges under the symbol “GOOS.” Canadian Imperial Bank of Commerce, Credit Suisse, Goldman Sachs and RBC Capital Markets will manage the sale.